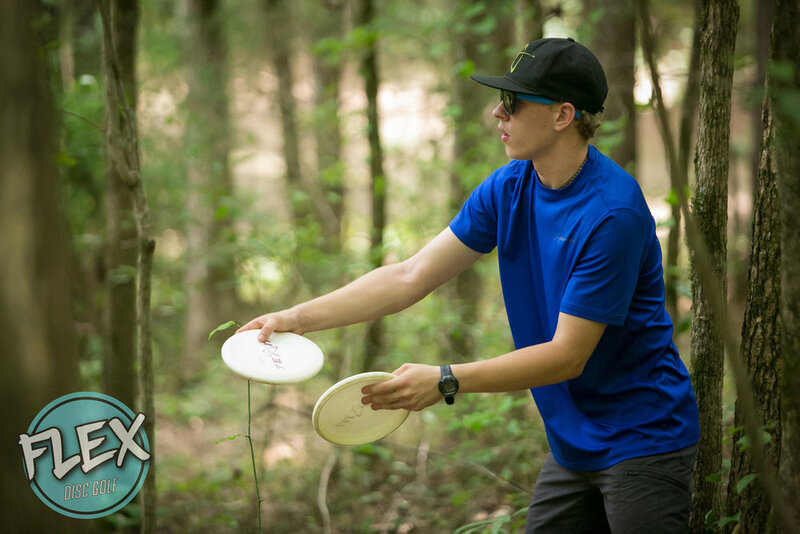 Juniors and longtime touring pros alike got to showcase their skills at two different PDGA Majors last weekend. 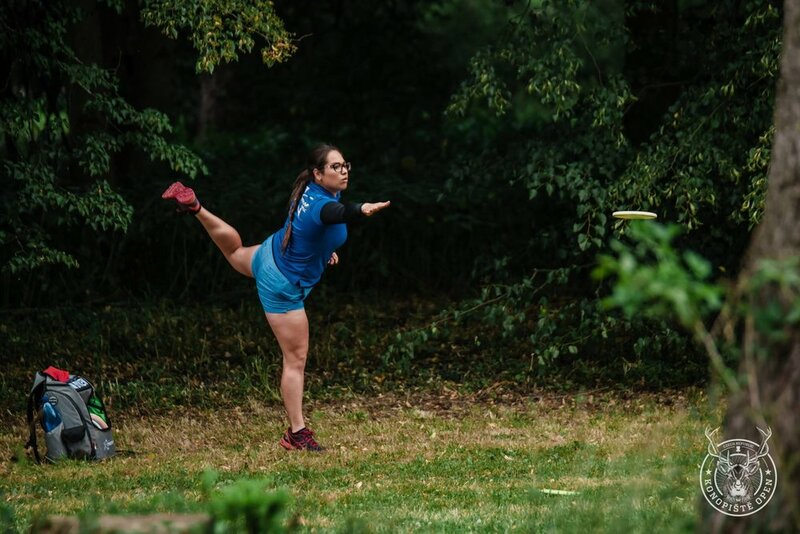 Veterans got a crack at the Franz Ferdinand Course in Benesov, Czech Republic during the Konopiste Open 2018. Finnish native Seppo Paju represented his home continent well, staying on the lead card throughout the weekend. Paju came out of the gates strong with ratings of 1052 and 1063 in the first two rounds. He stayed consistent in the final two rounds to come in fourth with a 47-under par 221. Close behind was Will Schusterick, who finished sixth. He flashed his vintage self in posting three rounds rated over 1040, including a 1054-rated third round to finish with a 41-under par 227. Paul Ulibarri submitted a 35-under par 233 to secure a top-10 spot. Catrina Allen continued to rack up podium spots in Open Women. Her 7-over par 275 clinched a third place finish, and she hasn’t finished outside of fourth since the end of April. Vanessa Van Dyken came in ninth with a 25-over par 226. 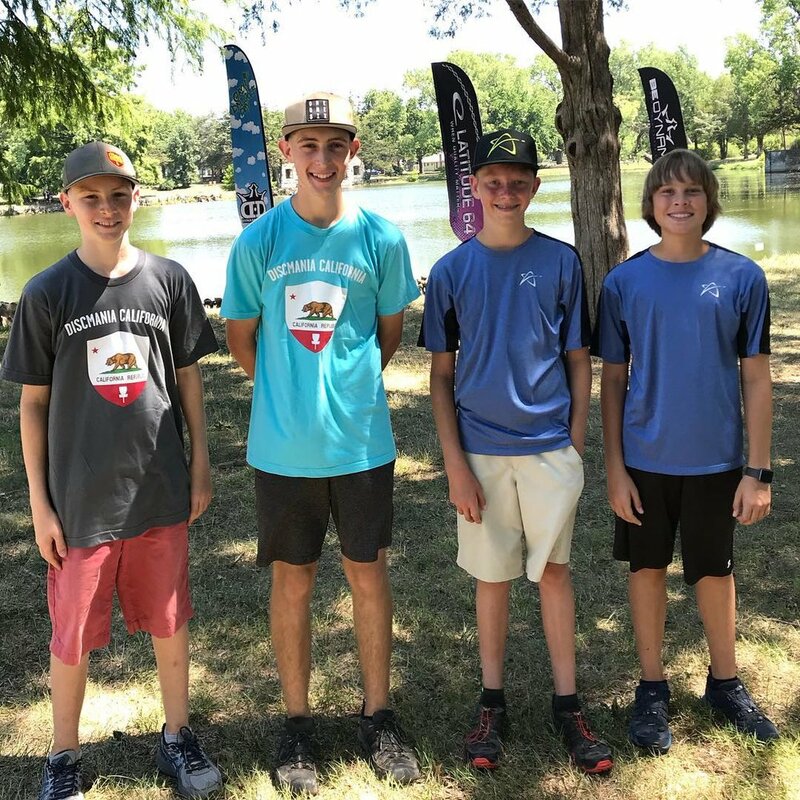 Meanwhile, junior competitors battled the heat in Emporia, Kansas for the first PDGA Junior World Disc Golf Championships. Gannon Buhr started his week with a win in the putting portion of the field events and scored a third place finish in doubles with teammate Adam Osborn. 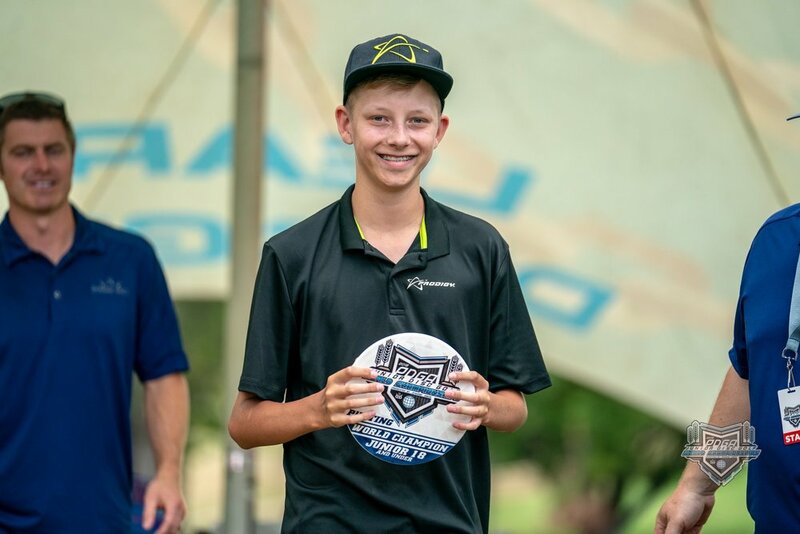 Buhr capped his week off with an appearance in the final nine of the under 15 division and a fourth-place finish. He tossed a 30-under par 345, which included a 1006-rated fifth round. Noah Higgins climbed into a tie for ninth by grabbing a share of the hot score in the sixth and final round. He finished with a 12-under par 330. Harper Thompson tied for 14th with his 4-under par 338 and Osborn tied for 22nd with his 9-over par 351. Kolby Sanchez also started his week well by finishing third in doubles, and that’s where he landed in the under 12 division. Sanchez stayed on the lead card throughout the event on his way to a 2-under par 313. In A-Tier action, Chris Dickerson kept up his torrid pace. Dickerson claimed the The 22nd Annual Brent Hambrick Memorial Open title in Westerville, Ohio. It marked his 19th win of the season, and he did it without shooting the top score in any of the three rounds before the final nine. 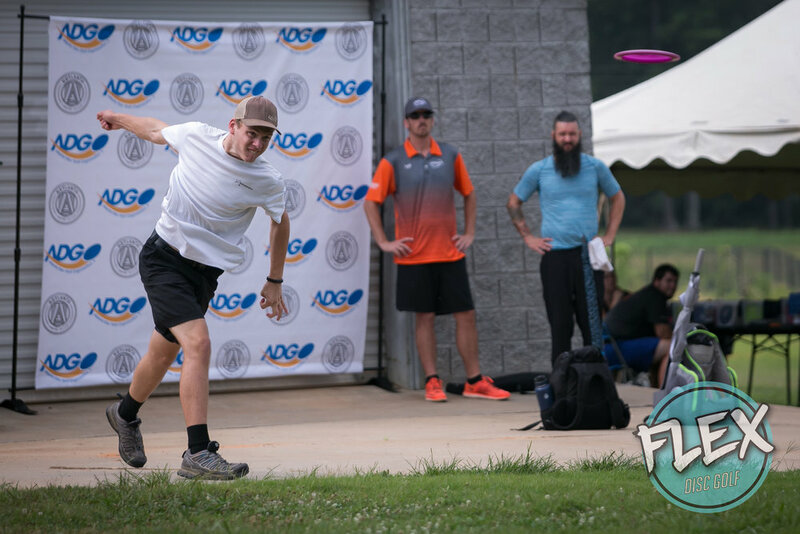 Matt Orum and Cameron Colglazier continued to prove they are a dangerous doubles pair at the Double Down Throwdown IV, a Southern Nationals event. The Alabama duo topped teammates Michael Gibney and Andrew Montgomery to win their third doubles title of the season. Isaac Robinson got his first win of the year at the 22nd Annual Hotlanta in Stockbridge, Ga. Robinson topped the field with a 31-under par 184. His brother, Ezra, finished in fifth with a 25-under par 190 and Austin Lyle finished two strokes back in sixth. Manabu Kajiyama claimed the 22nd Kanto Open crown in Utsunomiya, Tochigi, Japan. Kajiyama topped the field for the sixth time this year. Yutaro Sakai came in fifth and Shinah Kim finished 9th in Open Women. Sam Lee fired a 1060-rated second round at the Super Summer Slammer 9 in Lexington, Ky., to take the win. Billy Ray Osborn took down the Advanced division in All Joes, No Pros in Bucyrus, Ohio. Several Prodigy players posted top finished in unsanctioned events, as well. At the BRP Cash Open, Daniel Polk got the win with Ben Kroll coming and 3rd and Mitch Privette finishing in a tie for fourth. 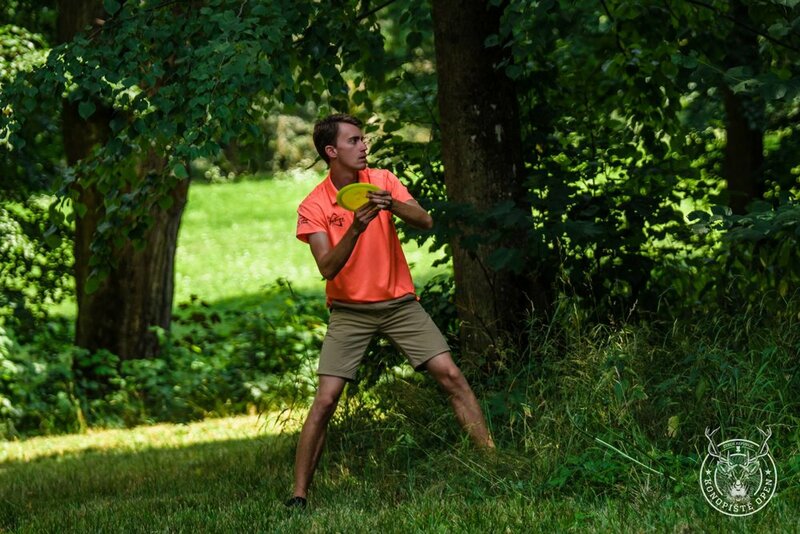 Brian Baell won the Minnesota Dead Disc Golf Association Ironman X. Robin Johnson came in third and Ben Lewis came in fourth. 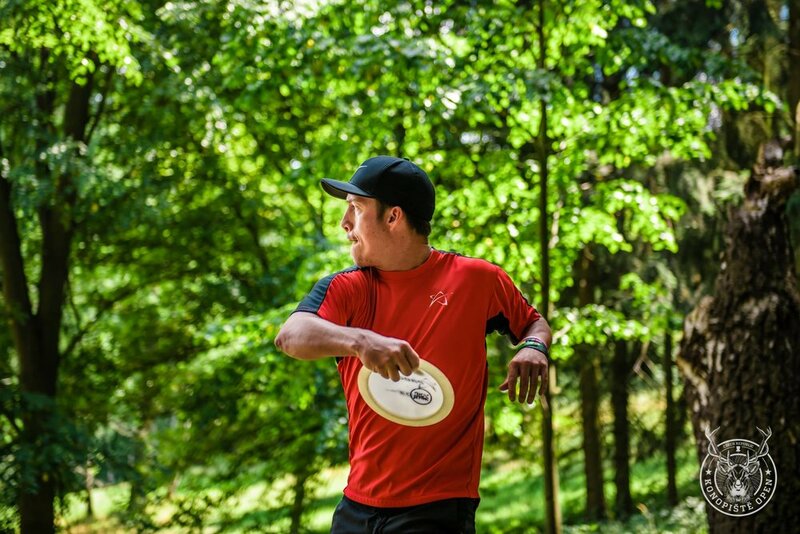 Josh Seeley won the Maine Disc Golf Tour Stop at Devil’s Grove.